Yes, you can help us. If you know anything about the fish species in our water that may be useful to the fishing community, do chip in. Together we can help our fellow anglers understand their target and catch. Fishing interest: Handline fishing,pole fishing,fly fishing and lure fishing. I never knew this was a man made fish! Well, that's us trying to play god. The intentions were good; fast growing fish with good quality meat. But we have to wonder what are the ill effects of them escaping the farms and spreading into our waters. Lots of these groupers have been landed in recent weeks near Ubin. 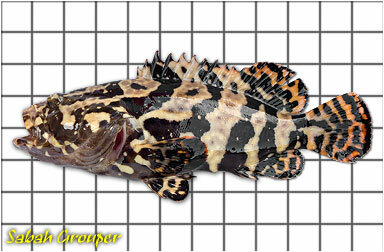 Also known as Pearl Grouper or Dragon Tiger Grouper.